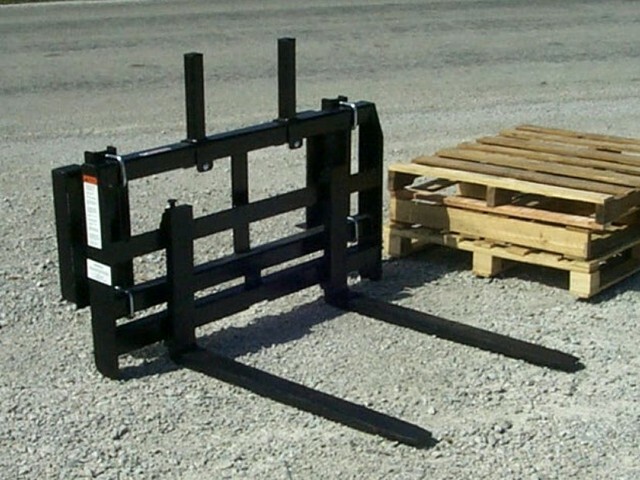 Available for tractor loaders, skid steer, and compact tractors. 2,000 lb. to 5,500 lb. capacity. 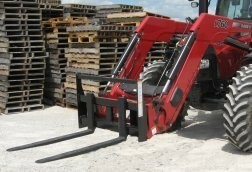 All models feature tapered solid steel alloy forks for long life. 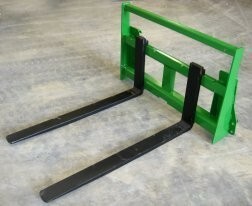 Premium forks include spring loaded latches for easy adjustment spacing. Models available with integrated brackets for skid steers, John Deere 400/500/600/700 series loaders, and loaders with global attaching method. 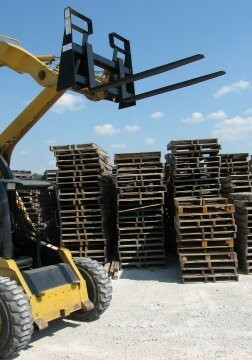 Optional interfacing quick-attach brackets available for most other loader models.